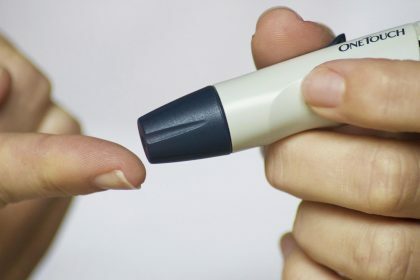 Dr Gojka Roglic and associates have penned down a summary of World Health Organization, WHO Guidelines on the selection of medicines for treatment intensification in type 2 diabetes and use of insulin in type 1 and 2 diabetes. The guidelines have appeared in the Annals of Internal Medicine. The recommendations were formulated by a 12-member guideline development group and are based on high-quality systematic reviews identified via a search of several bibliographic databases from 1 January 2007 to 1 March 2017. The target population is adults with type 1 or 2 diabetes in low-resource settings in low- or high-income countries. The 2013 World Health Organization (WHO) guidelines for low-resource settings recommended metformin for first-line treatment of type 2 diabetes, sulfonylureas for second-line treatment, and human insulin for third-line treatment (2). New oral medicines and insulins are currently being intensively marketed globally and are recommended for treatment intensification in guidelines from high-income countries. Recommendation 1: Give a sulfonylurea to patients with type 2 diabetes who do not achieve glycemic control with metformin alone or who have contraindications to metformin (strong recommendation, moderate-quality evidence). Recommendation 2: Introduce human insulin treatment to patients with type 2 diabetes who do not achieve glycemic control with metformin and/or a sulfonylurea (strong recommendation, very-low-quality evidence). Recommendation 3: If insulin is unsuitable, a dipeptidyl peptidase-4 (DPP-4) inhibitor, a sodium–glucose cotransporter-2 (SGLT-2) inhibitor, or a thiazolidinedione (TZD) may be added (weak recommendation, very-low-quality evidence). Recommendation 4: Use human insulin to manage blood glucose in adults with type 1 diabetes and in adults with type 2 diabetes for whom insulin is indicated (strong recommendation, low-quality evidence). Recommendation 5: Consider long-acting insulin analogues to manage blood glucose in adults with type 1 or type 2 diabetes who have frequent severe hypoglycemia with human insulin (weak recommendation, moderate-quality evidence for severe hypoglycemia). Diabetes management has an important role in preventing the development and progression of complications in both type 1 and type 2 diabetes. These guidelines are intended for settings with limited health system resources where the healthcare budget can be quickly exhausted with a widespread use of expensive brand-name medications. Source: Annals of Internal Medicine.